The 'euro model' was the first to predict this, but the other models seem to be coming along to their forecast. 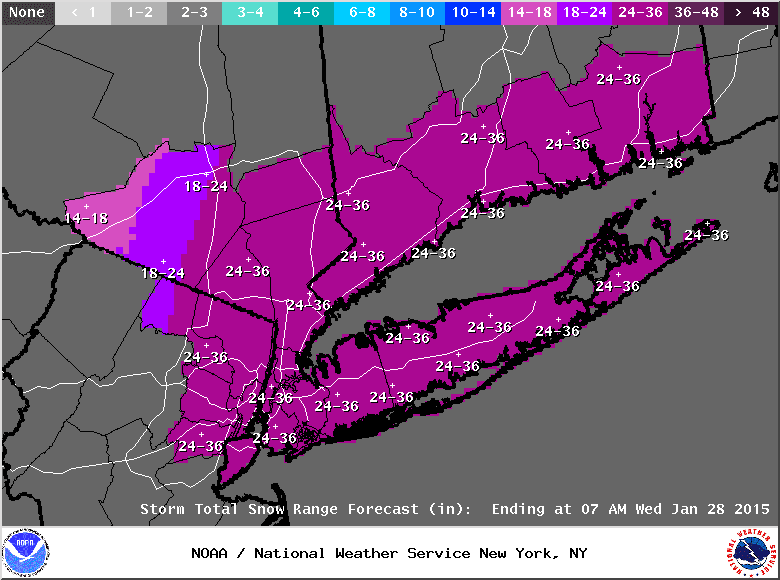 The euro model is still assuming a heavier snowfall in the NYC metro area, to 3 feet. The Canadian and American models are coming along but are still assuming a move further to the east. Update - The latest report from the National Weather Service shows a broad area of NY, NJ, and New England receiving 2 to 3 feet of snow with high winds. If you live in this area please keep aware of changing developments. This *may* be a quite impressive snowstorm/blizzard depending on the air flows and storm movements. Snowfall accumulations are still being estimated with two to three feet for New York City, Long Island, and New England. Accumulations in NJ will vary depending on how far east the storm center moves before turning north. Ranges are from 6 to 18 inches, depending on how close one is to NYC. This storm Juno is bringing a weather phenomenon known as 'bombogenesis' which is defined as a drop of 24 mb in air pressure in a less than 24 hour period. It is a 'bomb' of a low pressure system, hence the name. The snow is expected to start late Monday, and continuing on growing with intensity into Tuesday afternoon, tapering off into Tuesday evening for New York City. The storm is expected to severely hamper travel on Tuesday and possibly Wednesday. 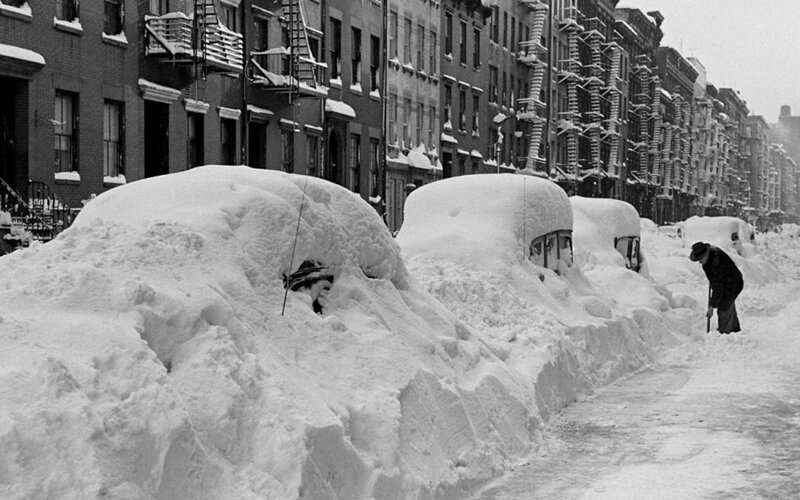 "Blizzard watches have already been issued from parts of southern New England, including Boston and Providence, to New York City and northeast New Jersey. A winter storm watch is in place for the Philadelphia metro area. Now is the time to prepare and make sure you have the supplies you need for this potentially historic winter storm. Do not proceed with any travel plans in the affected areas late Monday and Tuesday or you could put yourself in great danger."